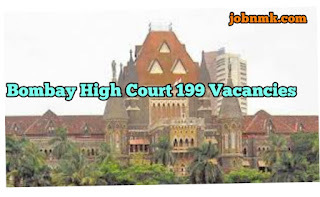 Bombay High Court System Officer Vacancy. Bombay high court Maharashtra Has on 12th Feb Invited Online Application Form for Senior System Officer and System Officer Posts in Bombay High Court of Maharashtra. The Interested Candidates Can Read the Full Notification Before they Apply Online form. To qualify for Bombay High Court Senior System Officer: candidates Must hold a Degree of B.E. or B.Tech. In Computer Science or Engineering or Information Technology or Electronic Engineering or any equivalent qualification from recognized University with the five-year of experience. They Must hold a Degree of B.E. or B.Tech In Computer Science or Engineering or Electronic Engineering or MCA or any equivalent qualification from recognized University with five-year experience. System Officer: Qualification -:Must hold a Degree in B.E. or B.Tech. In Computer Science or Engineering or Information Technology or Electronic Engineering or any equivalent qualification from the recognized University with prior one year experience must. Must hold a Degree of B.E. or B.Tech. In Computer Science or Engineering or Electronic Engineering or MCA or any equivalent qualification from the recognized University with one year experience. Applicant should Go through the notification for detailed eligibility criteria. ₹ 40000- 46000 Per month. The Selection will totally depend on the basis of Interview. For Gen and UR Candidates Maximum Age 40 Years. Candidates should log on to https://bhc.gov.in/bhcrecruit/recruitment.php. First Complete the Registration and Click on “Submit”. After the Registration, candiate Log in with Registered Number and Password. Fill all details in the given application and upload Photo, Signature. Take a print out of candidates Online application for future use. We hope that you got idea about Bombay High Court System Officer Vacancy.